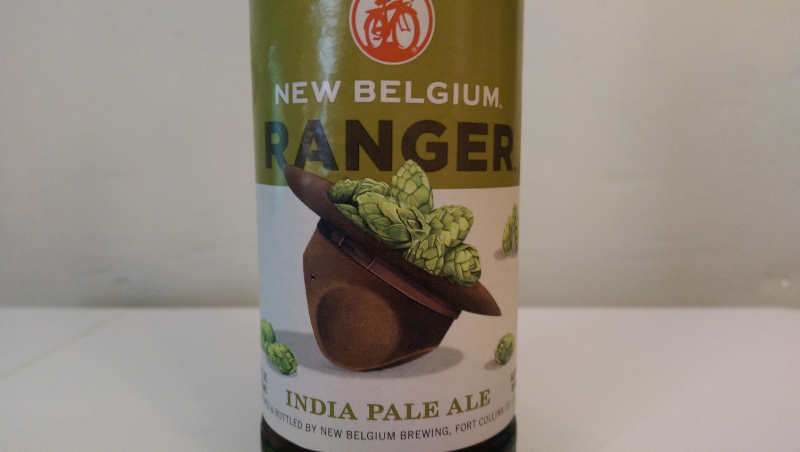 Beer Profile: New Belgium Ranger IPA – Food. Beer. Stuff. Brewed with pale and dark caramel malts along with three select hop varieties. In today’s Beer Profile I give Ranger IPA a whirl. I’m thirsty so lets get to it. 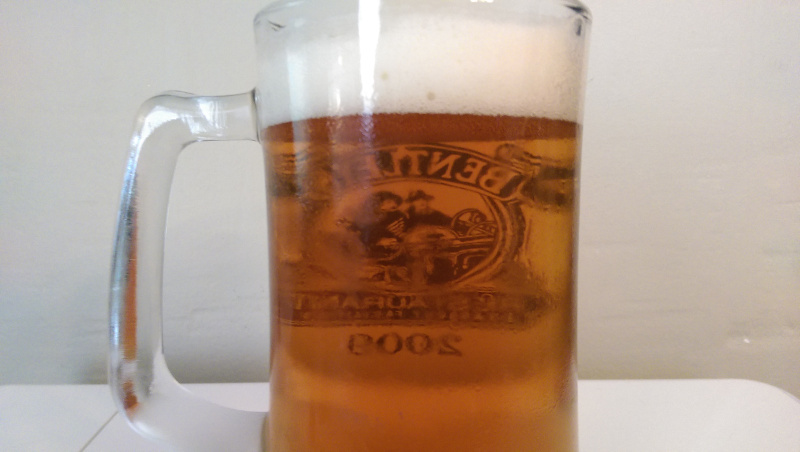 Pours an attractive translucent amber mug of beer with a fair amount of carbonation. I found it quite easy to form a solid head and still have time to snap a picture. The smell is a little earthy, more than likely due to the dark caramel malts used in the brewing process. Hate to change the variables between profiles but went for a 24oz frosty mug for this one. I am picking up the pine for sure, but I also get some citrus. Plenty of bitter but the smell does not lie as I pick up a nice balance on the back end. Crisp carbonation bubbles on my tongue as the flavors continue to release their essence. The head fades slowly leaving behind evidence on the glass. 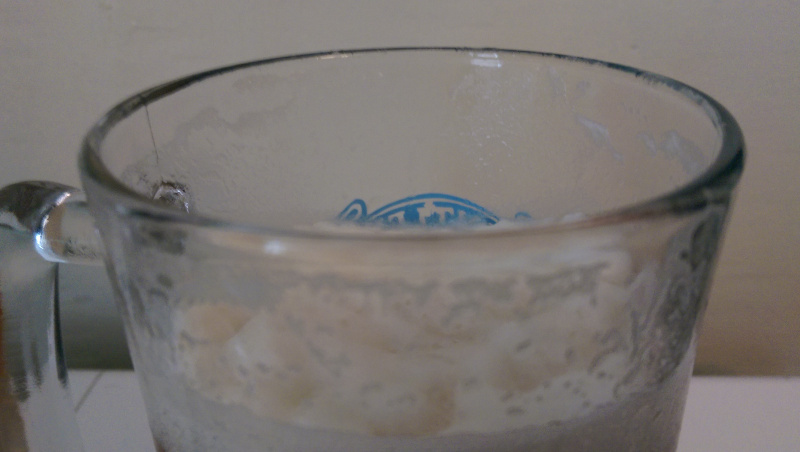 The traditional Beer Profile lacing shot. This is how Ranger IPA shows. The balance of this beer is evident but subtle. It has that nice bitter bite right off the bat but it is delicately muted by the malts. To the point that one may not notice just how subtle the balance is right away as it takes a full glass, unless one really pays attention. Good light mouth-feel to this medium-bodied beer. As is so usual with these Beer Profiles of mine, I’m drinking this beer for breakfast so even at 6.5% ABV, which is light for the class, I am catching a nice buzz. I have heard Ranger IPA described as a “beginners IPA” and I find it hard to argue with that assessment. Not that I intend anything negative with that, rather it gets the distinction because of the great way it introduces one to the hoppy side of the spectrum. The malts make a nice appearance but don’t steal the show. Whereas I thought that Samuel Adams Rebel IPA went a little too far towards the middle, the balance of Ranger IPA I find to be just right. Bottoms Up! Have you tried New Belgium Ranger IPA? What are your thoughts? Lets talk about it in the comments below.